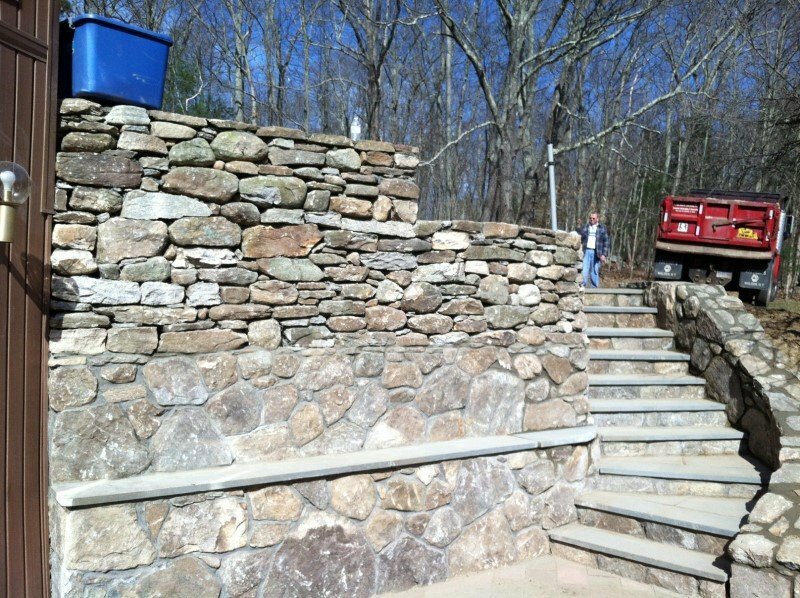 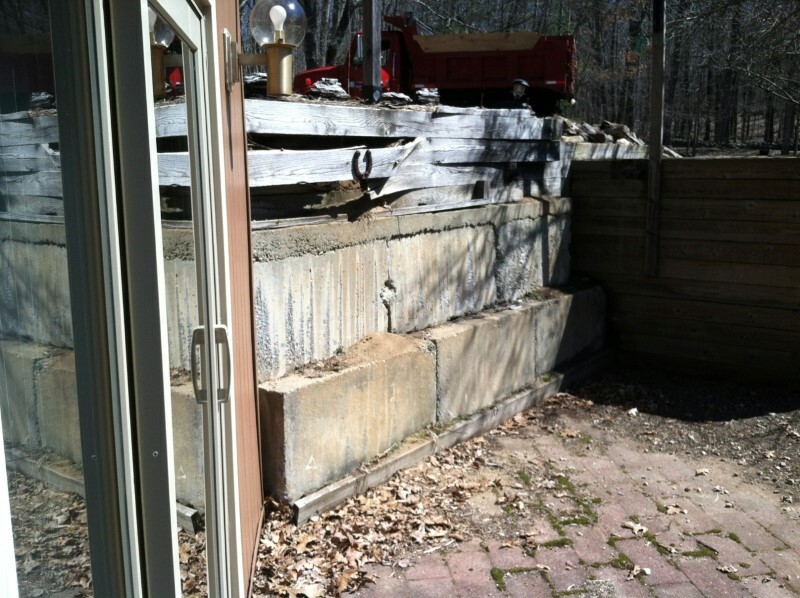 D. KYLE STREARNS CONTRACTING INC.
120 foot retaining wall made with field stone with blue stone step. 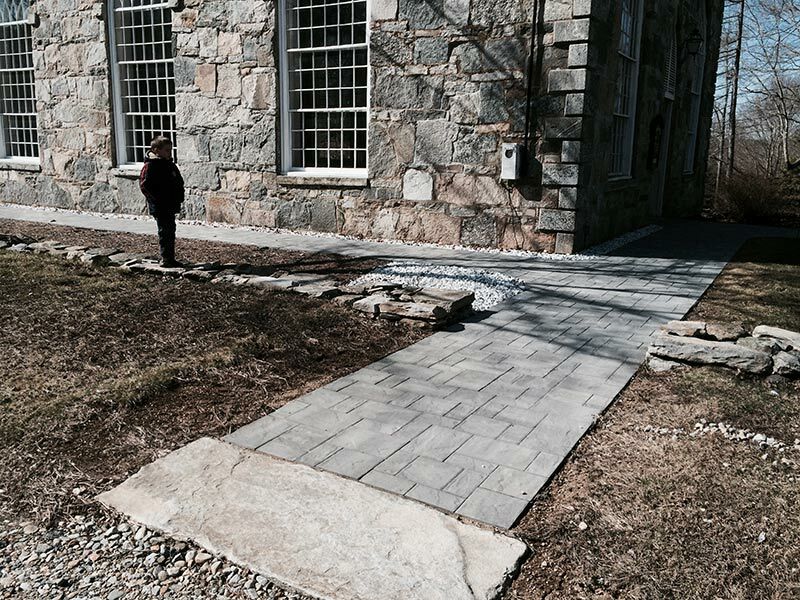 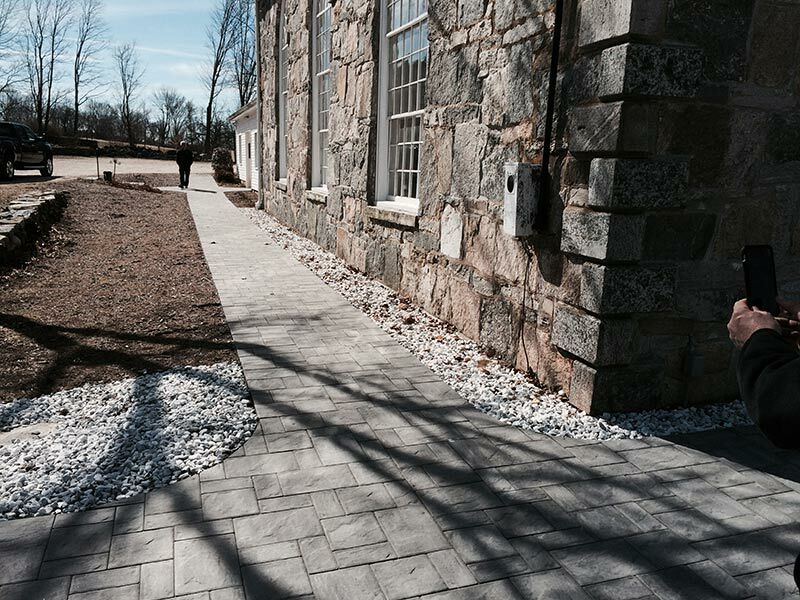 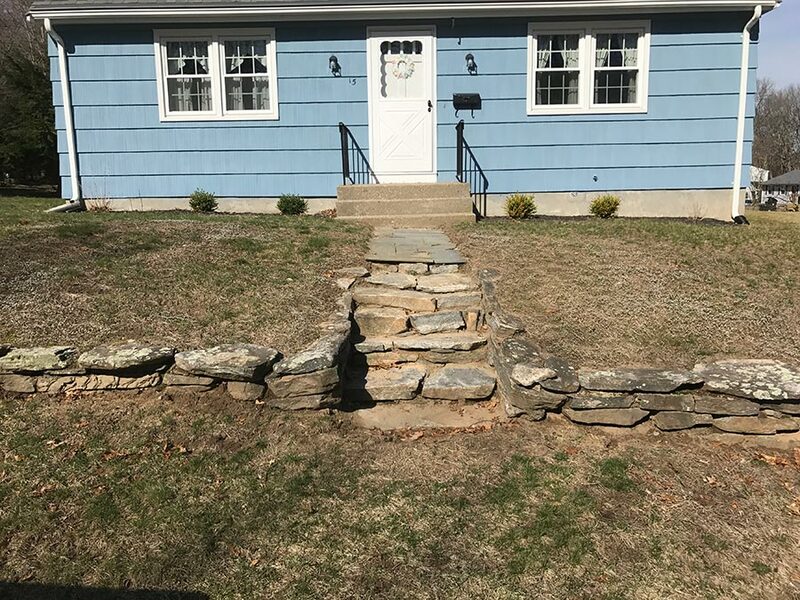 Before and after stone wall installation on residential property in Storrs CT.
We install pavers in a residential driveway in Storrs, CT.
We provided a handicap walkway for St. Joseph’s Church. 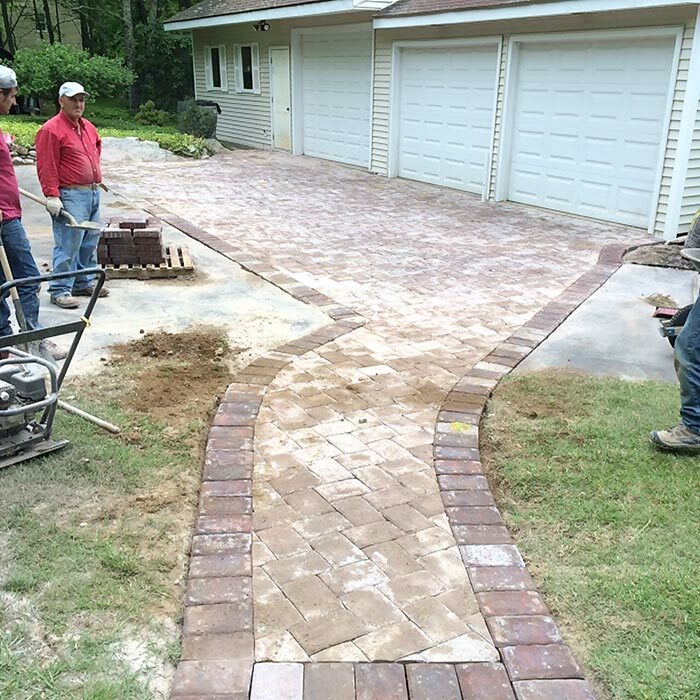 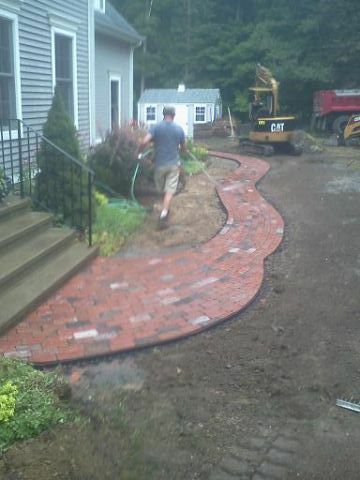 We used pavers to render this 900 sq feet walkway. 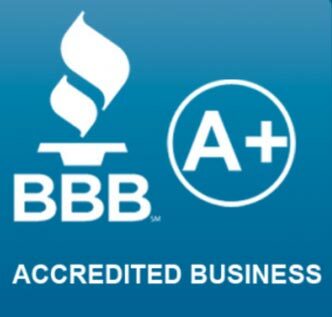 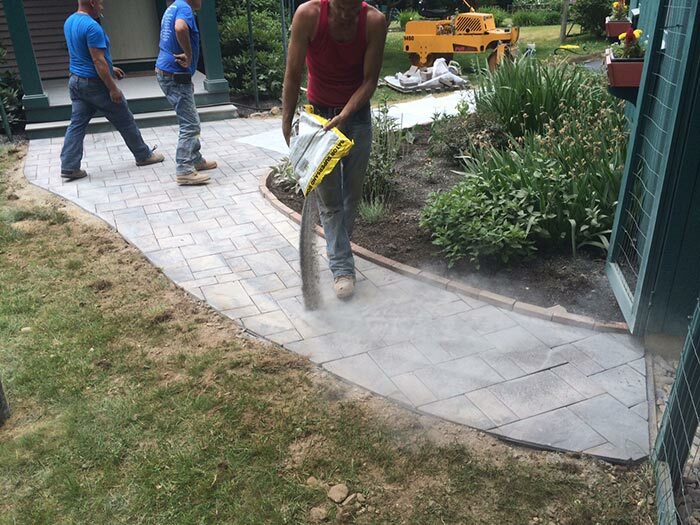 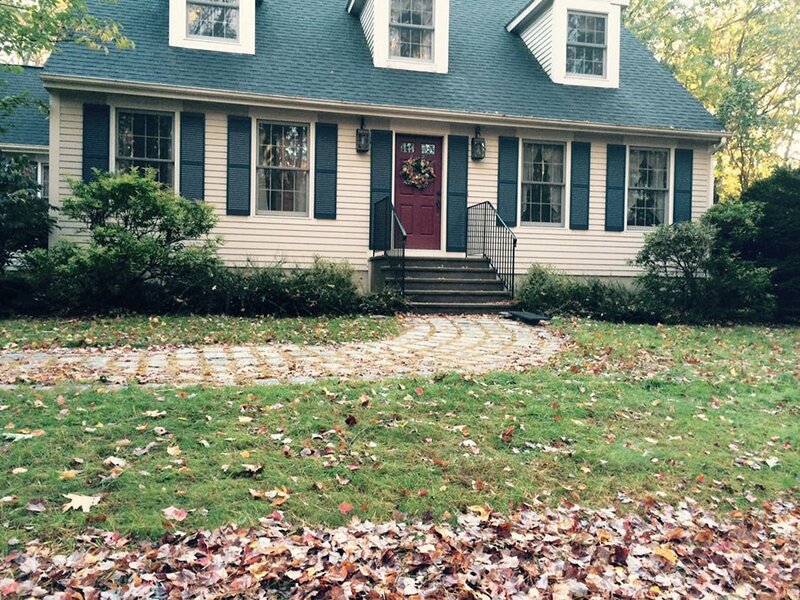 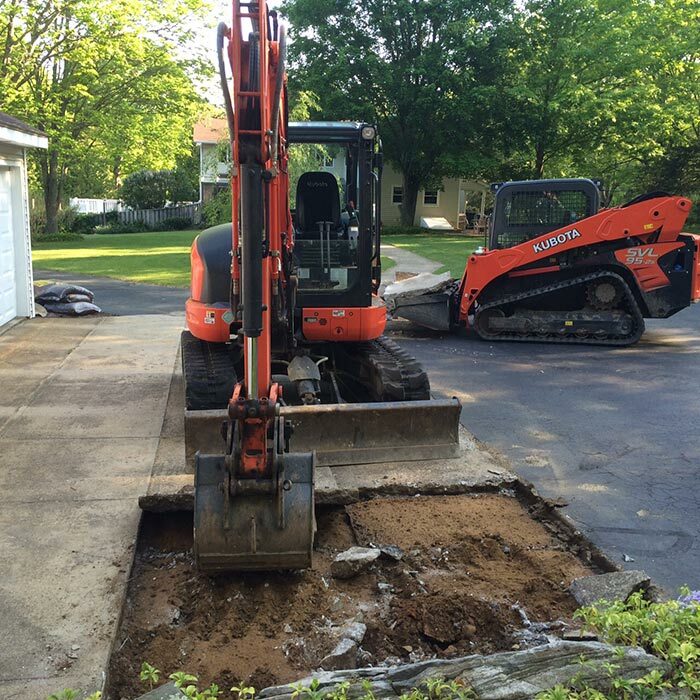 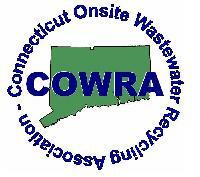 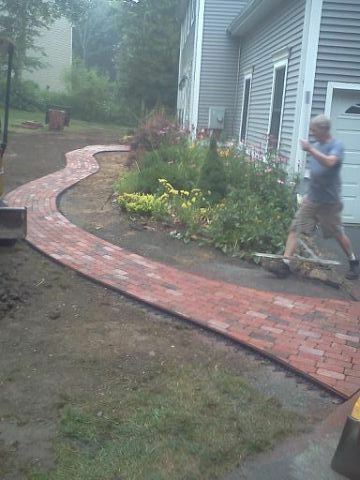 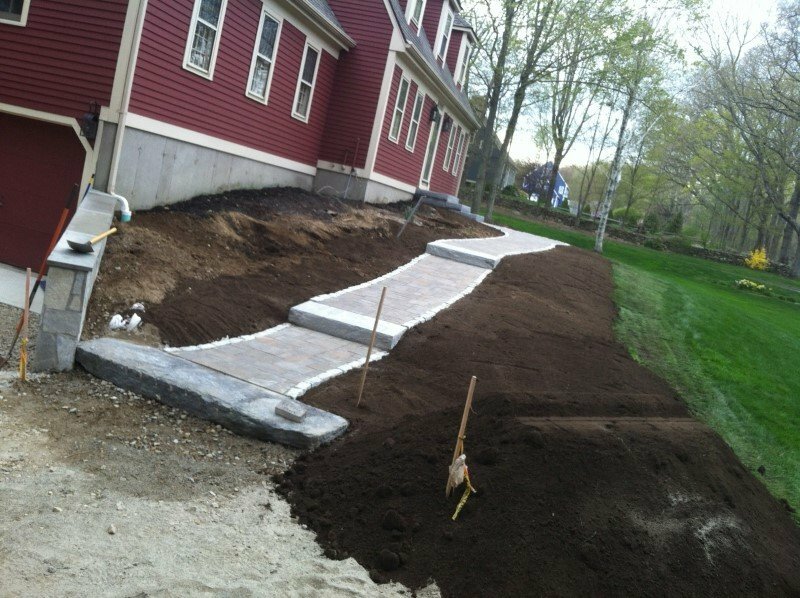 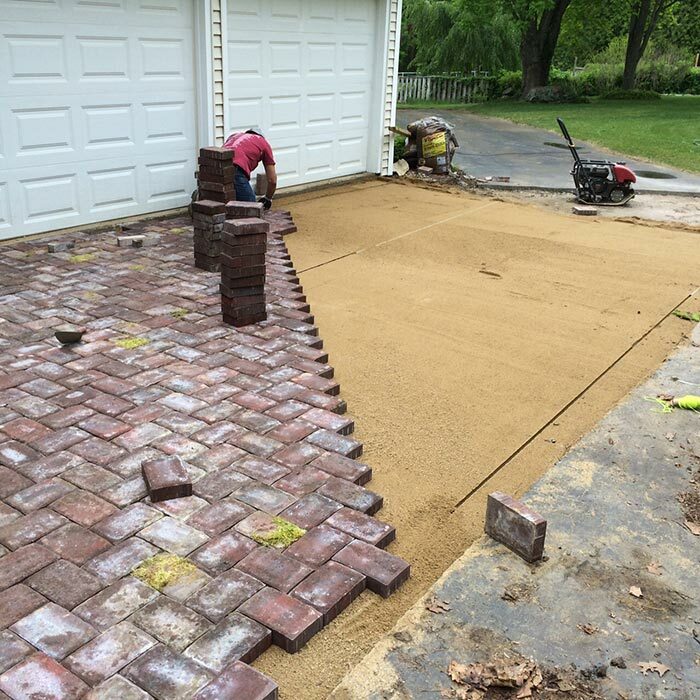 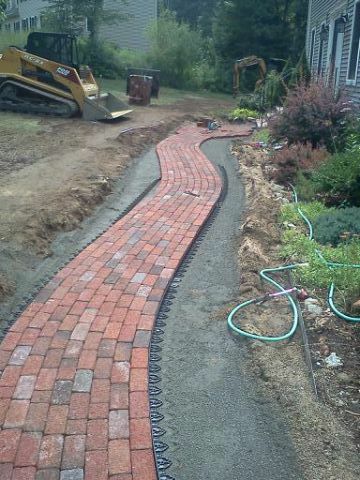 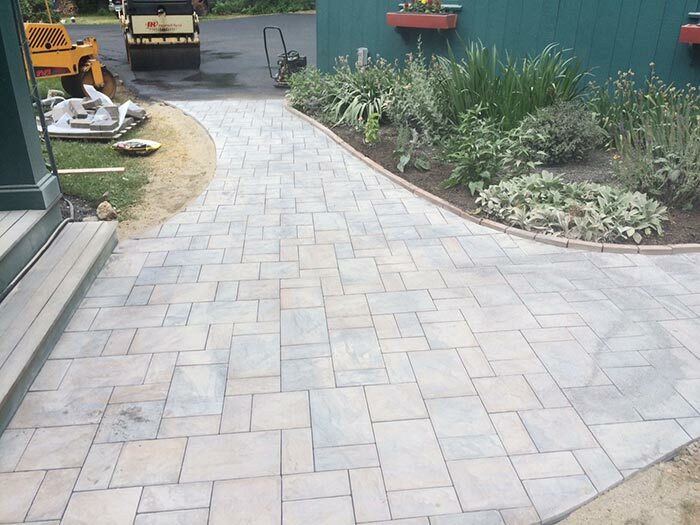 We install pavers in a residential driveway in Mansfield Center, CT. 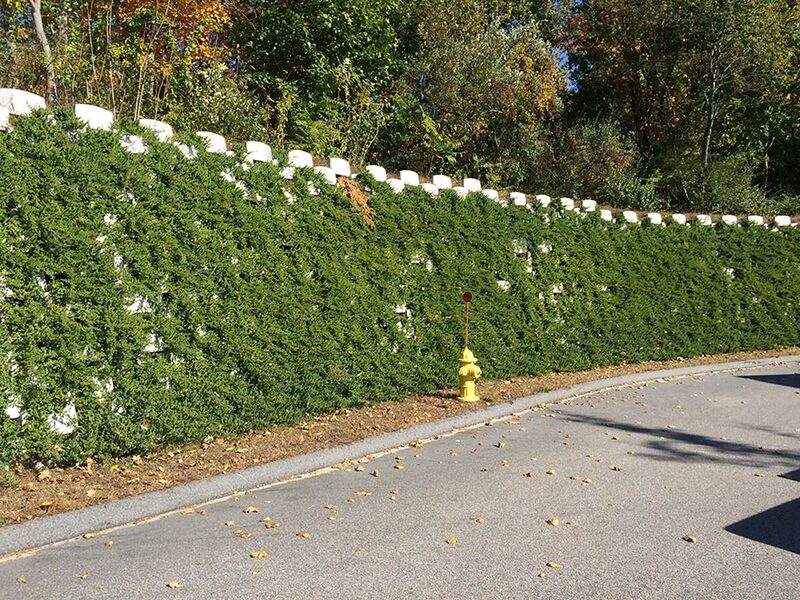 This retaining wall is an example of a “living wall”, the first of its kind in New England. 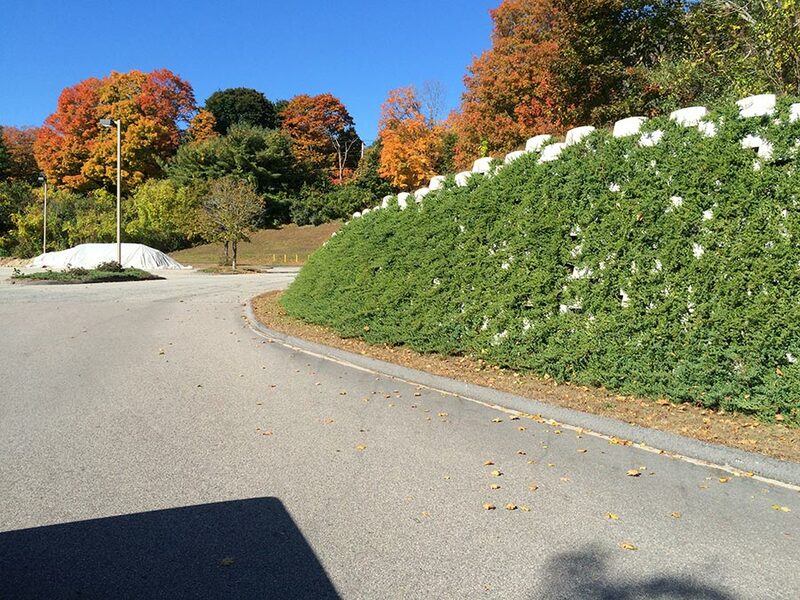 It is 256 ft long and the highest point is 11 ft tall. 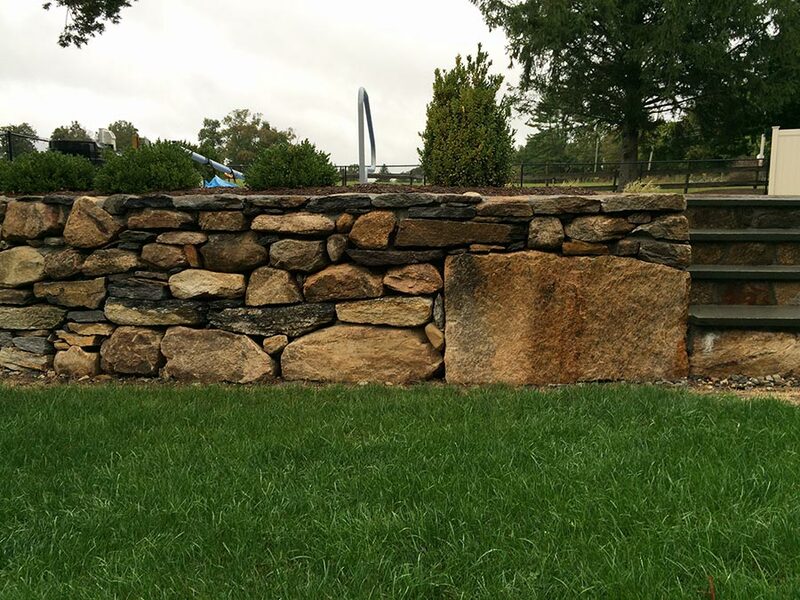 This wall took 3 weeks to build. 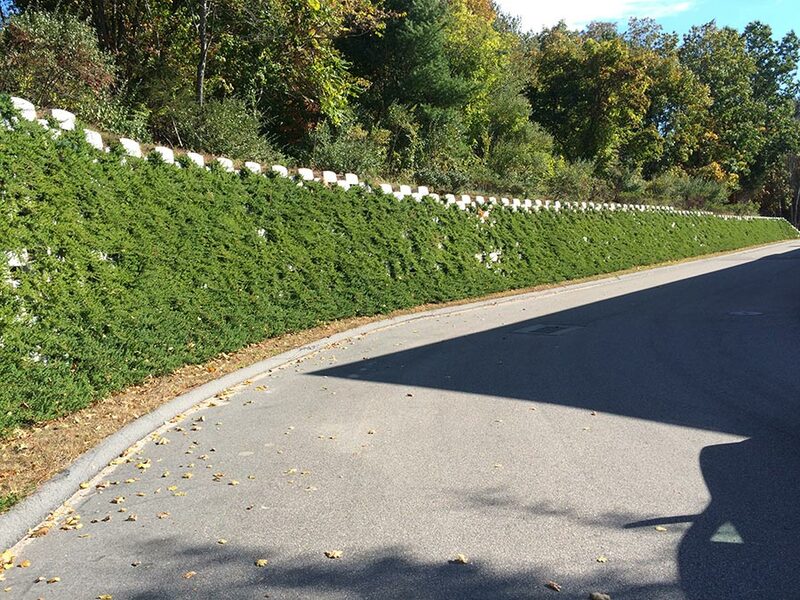 It’s called a living wall because each wall block has a pocket to hold soil. 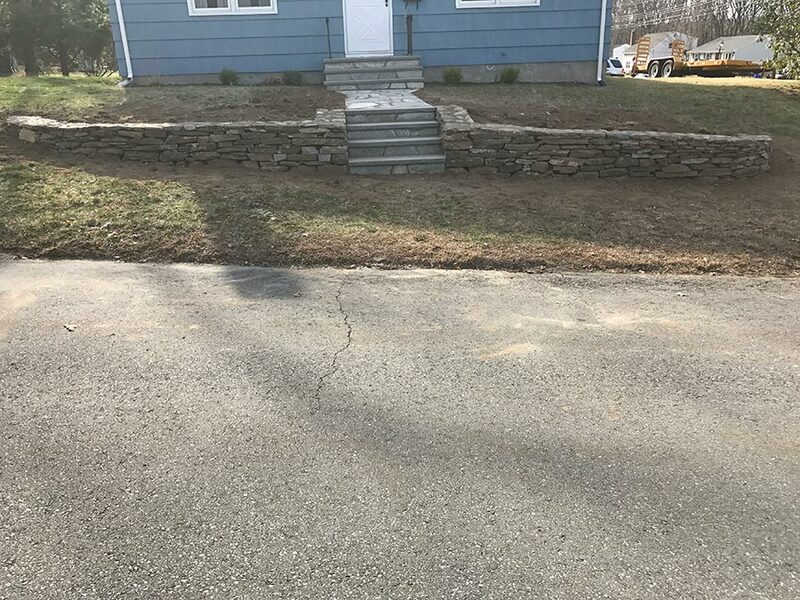 In this wall the choice was junipers they will eventually take over the entire wall giving it a softer, more natural look. 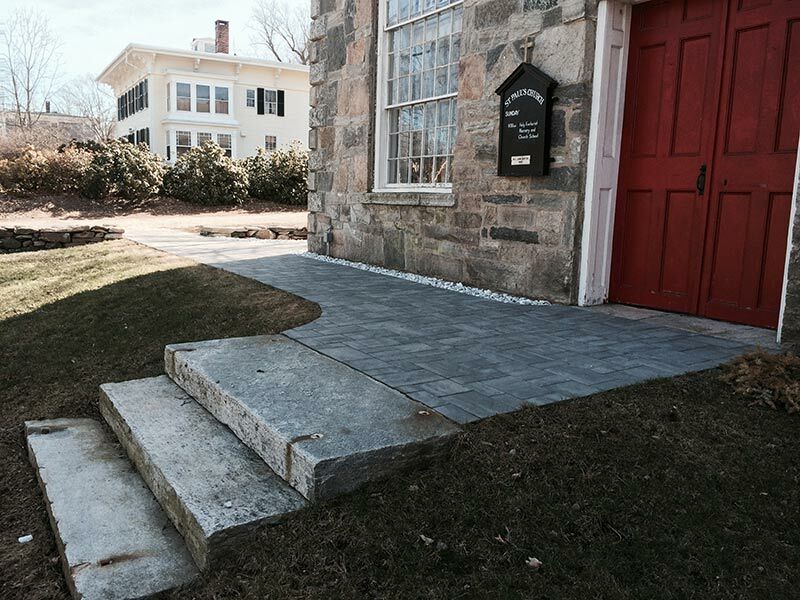 The existing concrete blocks were left in place and faced with a bluestone veneer. 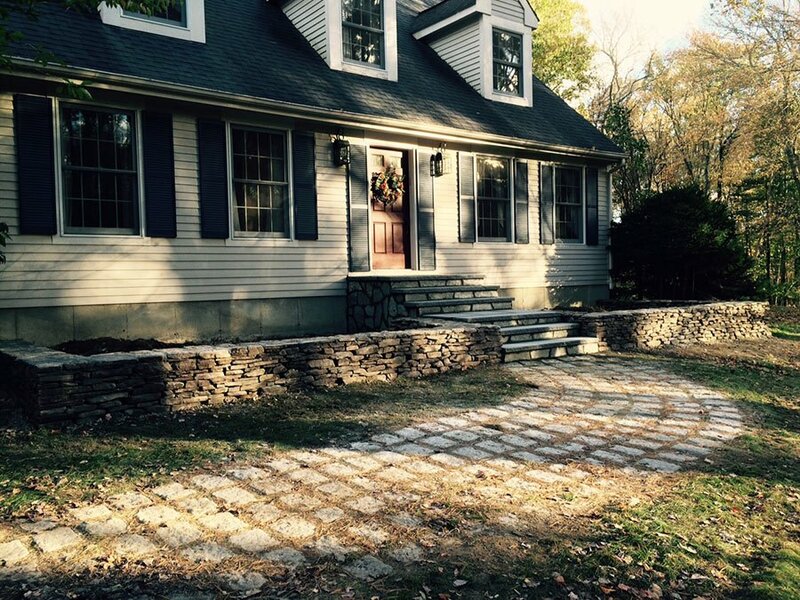 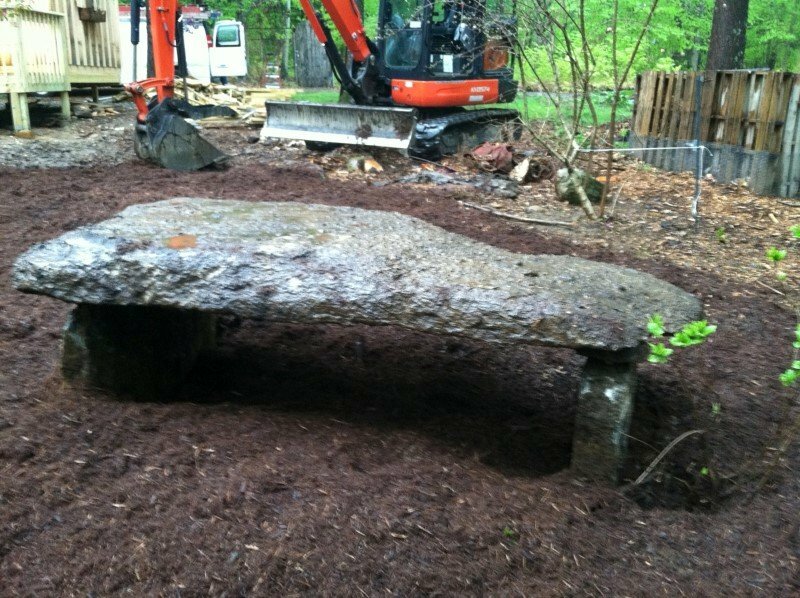 We replaced the decaying railroad ties at the top with a beautiful stone wall. 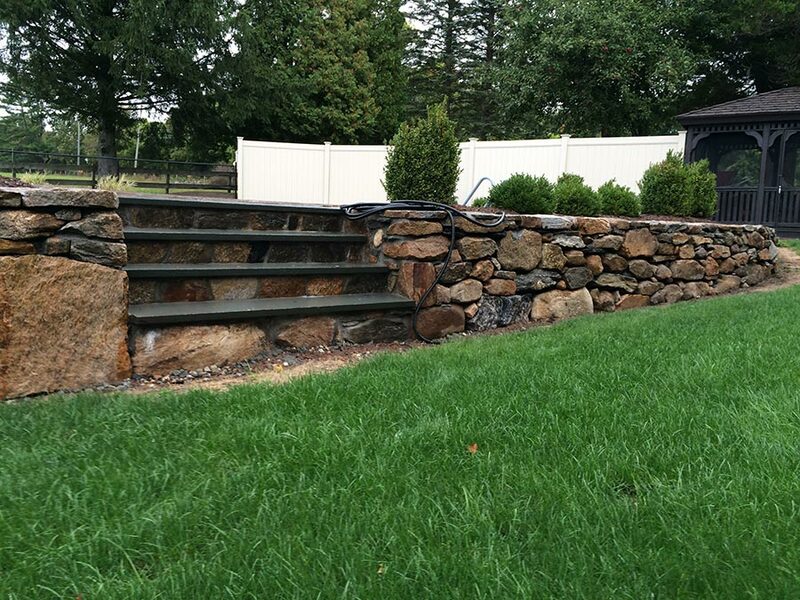 A stone staircase was built to connect the patio with the yard above.